Samsung might have all the attention at MWC after it unveiled the Galaxy S9 and S9+, but there are plenty of other devices at the event. 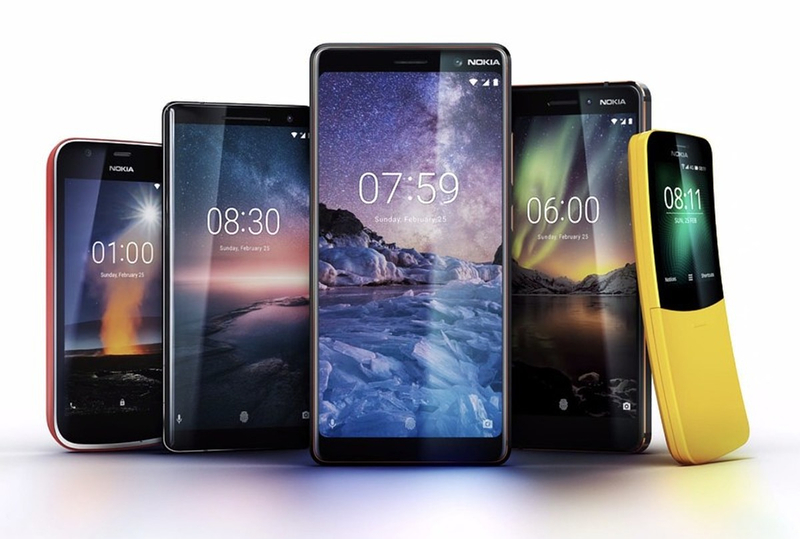 One of the companies launching new products is HMD Global, which creates Nokia-branded phones under license. It announced several handsets yesterday, including its most powerful smartphone ever: The Nokia 8 Sirocco. HMD’s most expensive offering is an upgraded version of its Nokia 8 flagship. It comes with some high-end specs, including a 5.5-inch QHD pOLED (2560 x 1440) display, 6GB of RAM, 128GB of internal storage,12-megapixel (f/1.75 aperture) and 13-megapixel (f/2.6 aperture, telephoto lens, 2x lossless zoom) cameras, wireless charging, and facial recognition security. Somewhat surprisingly, HMD has gone with last year’s Snapdragon 835 platform, rather than the new 845 found in the Galaxy S9. The Nokia 8 Sirocco also comes with a high-end price of €749 (around $920). It launches in early April. Next is the Nokia 7 Plus. It might be almost half the price of the Sirocco, but it still boasts a 6-inch 2,160 x 1,080 display, 12MP/13MP cameras (with Zeiss optics, like the Sirocco), a Qualcomm Snapdragon 660 SoC, and a 3,800mAh battery. It costs €399 (around $490). Further down the list is the second-generation Nokia 6, which will cost €279 (around $343) and is available from May. This mid-range device features a Snapdragon 630, 5.5-inch IPS LCD full HD display, and is machined from a single block of aluminum. Finally, we have the Nokia 1. This phone is the very definition of low-end, featuring a MediaTek MT6737M Quad Core 1.1GHz, 1 GB of RAM, and a 4.5-inch FWVGA IPS display. It runs Android Oreo Go Edition, which is a version of Android optimized for phones with memory of 1GB or less. The Nokia 1 does, however, cost just $85, so you’re pretty much getting what you pay for. HMD also said it is a partner in the Android One program. Google says this offers "the best version of Android, right out of the box,” which means stock Android, no bloatware, and quicker, guaranteed updates. HMD added that its lineup will "come with no unnecessary UI changes or hidden processes that would eat up battery life or slow them down so you can enjoy your new phone for longer." We'll be covering the Nokia 8110 "banana phone" in a later post.